"Once we accept our limits, we can move beyond them." ﻿Reach Toronto is a Not for Profit organization, offering unique programs for adults and youth with ASD, Asperger's Syndrome and Mild Intellectual Disabilities. Children with autism become young adults with autism who are faced with the challenge of leaving the support and safe environment of the school system. Our programs were created in response to that challenge. Reach Toronto provides life skills training, social skills as well as specific knowledge required to prepare transitioning high school students and young adults for either college, the workforce or simply to gain independence. We also address the needs for adults who successfully completed a college program and require the skills to enter the workforce. The goal of our Success on the Spectrum programs is to ensure successful transition in a safe and nurturing environment. Reach Toronto's 2018 has been a very exciting year. 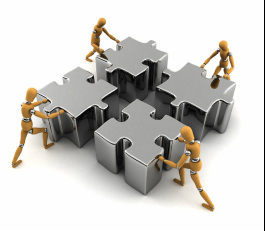 We have experienced amazing growth and continued to forge great new relationships while strengthening old ones. With the goal of helping youth and adults affected by Autism/Asperger’s and Mild Intellectual Disabilities gain independence, we have continued to develop strategic partnerships for specialized programs. Through our ongoing relationship with the Bank of Montreal, we are working to deliver more fully funded Financial Literacy Programs both in centre and in our secondary schools. Our goal is to widen our "reach" into York and Peel Region in various school boards. We are very happy to announce an official partnership with the TDSB in the delivery of Financial Literacy in Mild Intellectual Disability (MID) classes. We will spend a very important 3 years making sure that our children with a disability learn the very crucial skills of money management, budgeting and savings. We are so proud and excited to also announce the opening of our very first social enterprise operated by Reach Toronto, called Sandwich "N Such. Our shop is operated by youth and adults with autism and other disabilities. We opened up our doors in August with 2 goals in mind: one was to provide our Roncesvalles/High Park neighbourhood with delicious healthy and fun food options. The second was to train and employ youth and adults with a disability so that they can move closer to the goal and dream of independence. We are building lives one sandwich at a time. We simply decided to not wait for employment programs that may or may not work, so we built one that will. This year we ran numerous successful residential skills programs where our students not only had the opportunity to experience what living in your own apartment feels like but also enjoyed social activities such as barbecues, park picnics and entertaining guests with great food and hospitality. We continue our strong relationship with Greenwin who have generously donated a larger 2-bedroom apartment for our residence skills training. This donation has been integral in providing a real life hands on independent living experience. We cannot say enough about the support of the Green Family and the wonderful staff in both offices and apartment building who have all played a role in the growth of our clients. A special thank you to the best CEO in Canada, Kris Boyce whose kindness and compassion has made this relationship the success that it is. With the goal of providing access to education opportunities to those affected by autism and other mild intellectual disabilities, we continue our ongoing partnership with New Opportunities Learning Centre, a progressive private career college registered and recognized by the Ontario Ministry of Colleges and Universities (Private Career College Act, 2005). Our Customer Service for Hospitality and Food Program is ongoing and we are working on partnerships within this industry so that our students will have a hands on practice component post graduation. This will allow our students to gain the business and people skills to work in a variety of hospitality settings. Our partnerships in the Academic area will ensure that social and life skills required to gain and maintain employment are taught in conjunction with the academic requirements for maximum results. Our program is one of the very few modified admissions programs in Ontario for adults with Autism, Asperger's and other Mild Intellectual Disabilities, who do not have a high school diploma, but rather, a certificate or Life skills credits. We are pleased to announce a newly developed partnership with Kerry's Place in the delivery of both Financial Literacy and Food for Life (our nutrition, shopping and cooking program). We ran a very successful pilot and are happy to announce more classes for 2019. After a highly successful 1st and 2nd fundraiser, we are also very excited to announce our third annual Wine, Cheese and Chocolate Extravaganza Fundraiser. This event “A Taste of Independence” is once again being generously sponsored by Adamo Estate Winery, M. Thompson’s Chocolates and we welcome our new cheese sponsor, Jesse Tree Importing. The evening will be filled with great food, open bar, fun atmosphere and amazing guest speakers. The door prize will once again be a one night stay for 2 with dinner and breakfast, generously provided by Hockley Valley Resort. As we continue to forge new partnerships and relationships, we would like to thank our past and current clients for being part of our successes. A heartfelt thank you and endless gratitude goes to our amazing corporate partners who have supported us throughout the years. We welcome our past and new event sponsors to our family and look forward to more coming on board. We thank you for entrusting your wonderful adult children to us and look forward to another year of growth and success. Here's to change and to believing in all possibilities. IT HAS COME TO OUR ATTENTION THAT AN ORGANIZATION NAMED REACH FOR INCLUSION (GOING BY THE NAME OF REACH) HAS SHUT ITS DOORS. WE WANT TO CLARIFY THAT THIS IS NOT OUR ORGANIZATION REACH TORONTO. WE ARE ALIVE AND WELL AND HERE TO STAY WITH VERY EXCITING PROJECTS AHEAD. We are pleased to announce that tickets to our 3rd Annual Wine, Cheese and Chocolate Fundraise are now for sale. This year we have an open bar, dinner stations, dessert table, live dj and much more!!!! Come join us for great food and to support a great cause. Please go on our fundraiser page to reserve your tickets and get more information. The One on One Summer Support Worker Reimbursement Fund now available on Autism Ontario site. Summer programs open for registration, interviews ongoing, we still have some spots, register now! 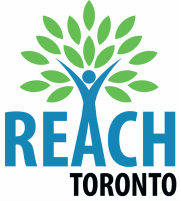 Reach Toronto is dedicated to helping youth and adults on the spectrum gain skills, tools and strategies to participate more effectively in everyday life. We provide an activity based learning environment in which we help students become more independent, experience a deeper sense of social inclusion and actualize their abilities. ​We seek to enable individuals to achieve more than they believed possible. Success is the development of individuals confident in their own creativity and individuality. "Your student with autism is like a Mac in a PC-dominated environment. He is hard-wired differently. Not incorrectly - just differently"
We believe that each adult with ASD is a unique individual. To foster emotional, intellectual, and social growth, students need to be provided an environment that is safe and invites the sharing of ideas. All adults, deserve to live a life with respect, dignity and acceptance.